WarpPortal Game Night has returned for 2017! Come on down to our office and party the night away with games, snacks, and fun! Where: Our office in Buena Park, California, USA! Who: Us, and all of you! 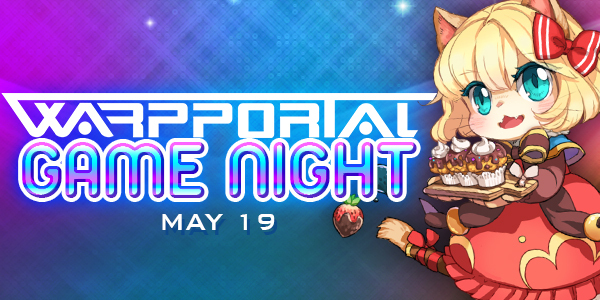 Refreshments will be provided, so all you've got to bring is your own bad self and whatever games you want to share! **If you beat CM Jelloshaker at SFV, she'll sketch your game character for you! Games and guests are not required to bring, but always welcome! I'll send you our address so you can join in the fun! Post here if you'll be coming! Can't wait to see y'all there! Any games you'll be bringing - I will have my X-wing, if I remember to get it from my desk What do you meme, Troll and One night warewolf with exp packs. i want to come. does the invitation cover travel fare? I might make it. I'll PM you if i find out that week if i am working or not. I wanna go! Send out plane tickets too! I'll try to work out some kind of stream! How come there isnt a game night. thats online and in iRO?!? Things that we actually had long time. And not just a game night for those wrt usa. I wonder if you could stream off a wifi enabled go pro. Edited by SandySandman, 30 June 2017 - 07:41 AM. how is no one bringing twister? Sadly Varitas will not be present! Also this event is in 2 days, if you plan to come, please sent me an RSVP PM with the information requested above Thank you! Ahhh to bad I have work those 2 nights. Be sure to wear all the hats. ALL OF THEM. I'm actually wearing a hat today! So there's at least one around here!